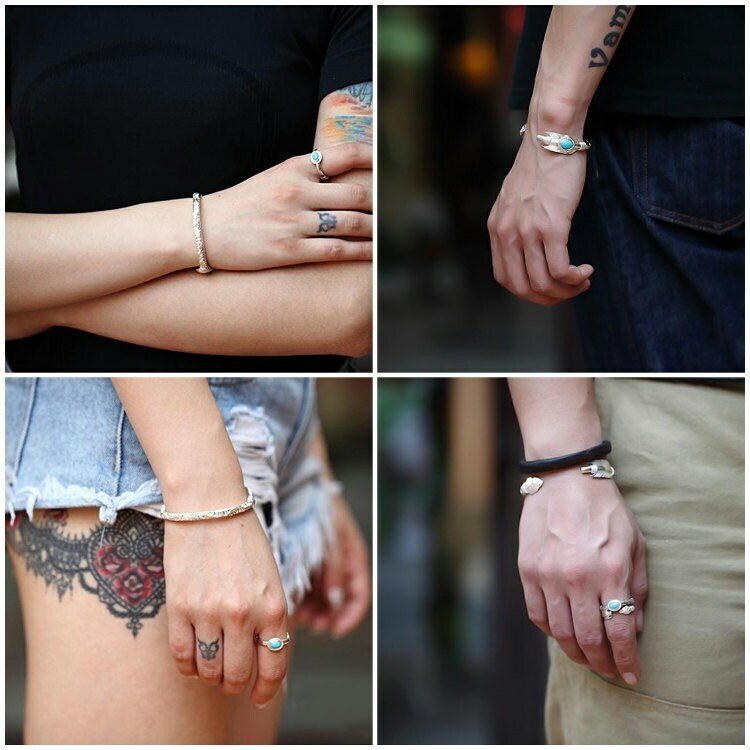 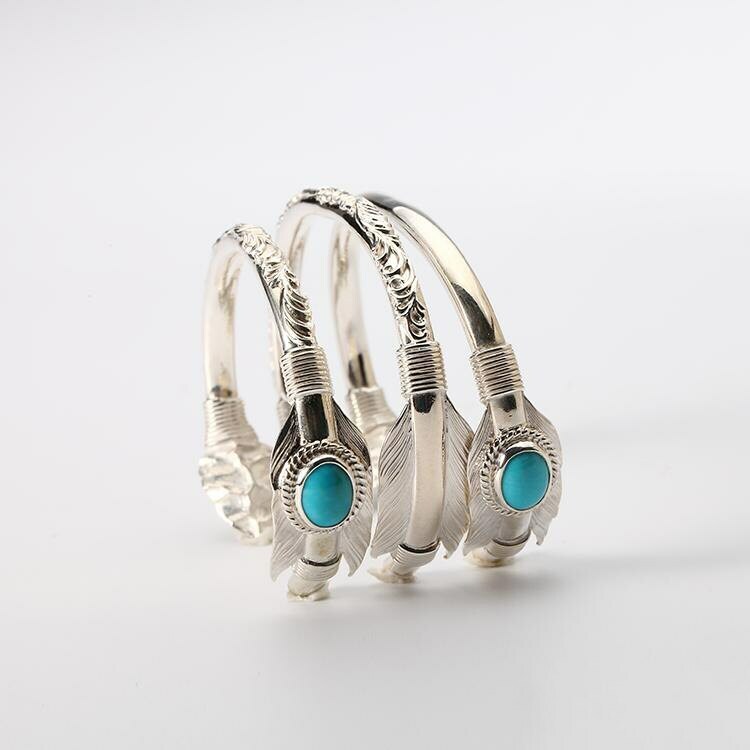 The silver arrow bangle is inspired by Native American art and traditions, where the arrow is a very special symbol. 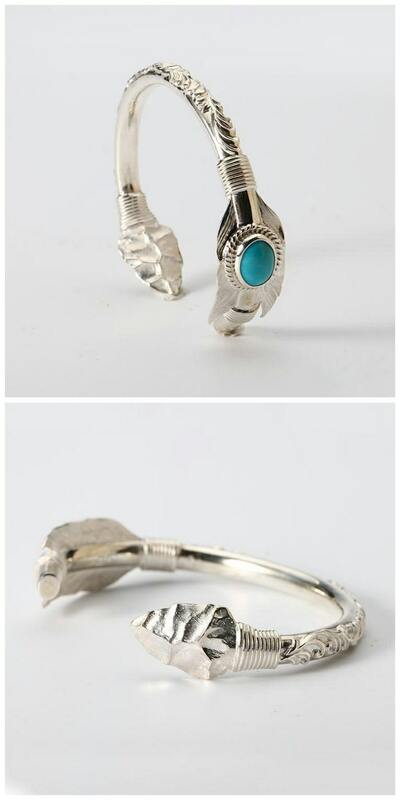 An arrow was very important for Native Indians - it provided safety and food. 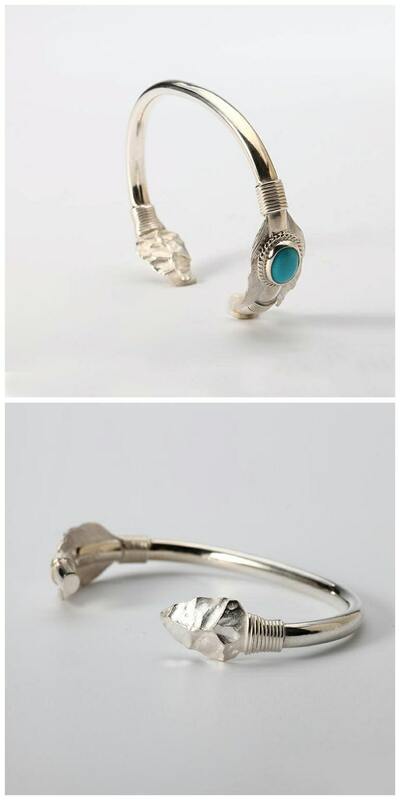 They would collect the arrows even from the hunted animals, and considered them a symbol of good luck and bravery. 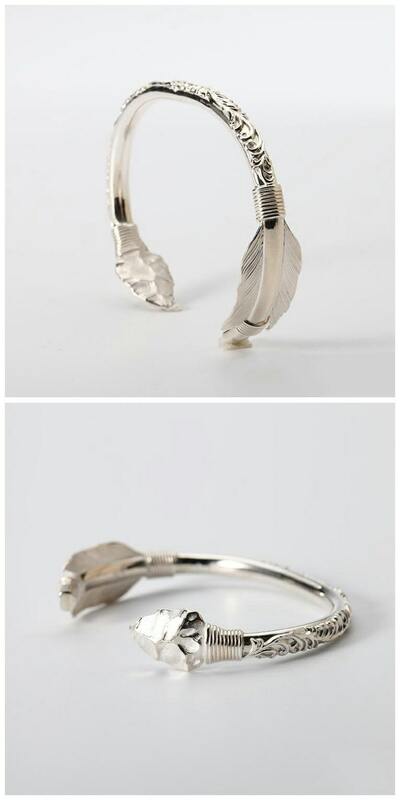 The arrow bracelet feature a hammered arrow head - reminiscent of the old arrows that the Native Indians used.